Posted on November 29, 2013 by Danielle K.
After anxiously awaiting the Catching Fire release for more than a year, my friends and I entered the theatre with impossibly high expectations and suppositions regarding the film interpretation of the story. I am extremely impressed with the movie adaptation and feel that the director really captured the mood and included all the essential aspects that were required in order to stay true to Collins’ series. One eminent facet that made for such an unforgettable movie experience is the actors’ unerring ability to flawlessly represent their characters. Jennifer Lawrence was lethal and brilliant. I felt that she portrayed Katniss perfectly and easily managed her vast range of emotions. As for Josh Hutcherson, I felt that he got to demonstrate Peeta’s brave and daring side a bit more than in the first movie, in which I felt he was depicted as too weak and potentially breakable. As amazing as this movie is, I must say that I am disappointed that one of my favorite quotes didn’t make it into the film. Although some of my friends dismissed this as trivial and unimportant, I was sad that it didn’t make the cut. I believe that that day (when they have a picnic on the roof of the training center right before they enter the arena…again) was truly the turning point of their relationship and the beginning of Katniss’ metaphorical fall for Peeta. For all the Liam Hensworth fans out there, I guarantee you will not be disappointed; Gale’s screen time is nearly equal to Peeta’s. One thing that differs from the book is the cause of the whipping of Gale. In the book, he is discovered by Peacekeepers with a dead wild turkey; in the movie, he attacks Head Peacekeeper Thread in order to protect the life of a Hobber. Even though I greatly favor the book, I believe that this decided change was representative of his character, and displayed his hate, “fire,” and volatility toward the Capitol. We readers knew they would have to make some alterations when transferring the book to screen, and were frustrated to see Bonnie, Twill, and Darius be among those changes. Although, upon viewing, I agree that it was unnecessary for Katniss to have suspicions about District 13’s existence when nothing happens as a result of her knowledge until she’s told by Plutarch when traveling there. I also understand that introducing a lot of characters without the required back-stories would have made it difficult for nonreaders to understand. For those of you who haven’t seen it yet and are wondering, cut scenes include when the fence is electrified and Katniss hurts her ankle jumping from a tree, Katniss and Peeta’s day of bonding on the roof, Katniss’s wedding gown photo shoot and on-camera “talent” display, Peeta’s paintings, and the secret bread code. The addition of the scenes between President Snow and Plutarch were honestly some of my favorites in the film. Because in the book we are limited to viewing only what Katniss does, in the movie we encounter the corrupt leaders discussing their strategies, which added suspense, emotion, and a deeper understanding of the President’s character that will be essential for nonreaders to comprehend Katniss’s reasoning at the resolution of Mockingjay. In the movie, Effie gets a chance to say goodbye to Katniss and Peeta, whereas in the book, they pass the farewell along through Haymitch. One factor that was partially included was Snow’s history of coming to power (the story of which could be included in Mockingjay). In the book, Katniss is horrified by the smell of blood on his lips when he whispers to her, “By the way, I know about the kiss,” (something that was omitted and replaced in the film by the use of holographic display). Also in the movie, Snow drinks from a goblet, and then back-washes blood, something I believe to be foreshadowing, an allusion of his death provided to the movie-viewing audience. Catching Fire was truly unforgettable and I am unable to encompass how relieved I am that the director and producers didn’t abolish such an amazing sci-fi story with another futile attempt to “give the people what they want,” as their brethren have done with so many other incredible books. 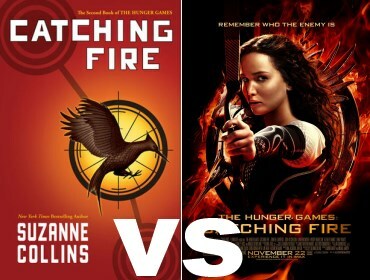 In rapid summation, I present Catching Fire with ten stars (out of five…obviously). Overall, a great book transformed into a great movie. A must see for both readers and nonreaders alike. Posted on November 28, 2013 by Kaylie W.
When most people think of aliens, they imagine a green Martian with antennae and gigantic eyes. They usually don’t imagine an alien as a normal-looking teenage human being who has amazing super powers. Like most science fiction books, The Lorien Legacies, written by a pseudonym under Pittacus Lore, is an ongoing series that’s full of action, suspense, and (for you girls out there) a little romance. 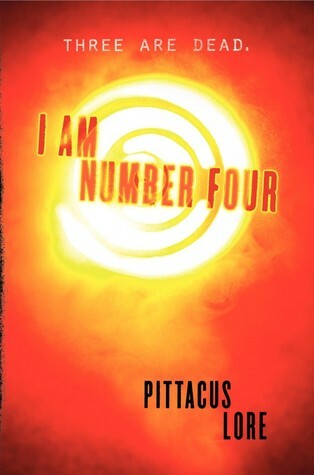 The books are titled: I am Number Four, The Power of Six, The Rise of Nine, and The Fall of Five. The fifth book in the series is expected to be published in 2014. The series is set in a modern day world. The planet Lorien, which is similar to Earth, has been obliterated by another race of aliens called Mogadorians. The only Loric to survive are (supposedly) nine teenagers, called the Garde, and their Cepans, who are assigned to protect their chosen Loric. Seeking salvation, the nine teenagers have come to Earth to train for combat. Their goal is to be able to destroy the Mogadorians and reclaim their home planet in time. They are each named after a number and possess amazing abilities called Legacies. Protected by a unique “charm”, the Garde can only be killed off in numbered order. The first book in the series starts off with the story of Number Four, which means Numbers One, Two, and Three have already been killed by the Mogadorians. As the series goes on, readers will be able to meet more members of the Garde. This series is one of my favorites because the main characters are often faced with very difficult decisions and have to struggle through a number of life-threatening moments. Because they are only teenagers, the Garde sometimes don’t know what the right choices are. In the beginning, they constantly argue because they each have different views and personalities. The Garde has to learn to rely and trust one another, sort of like a team. I would rate the Lorien Legacies a 9.5 out of 10 and would highly recommend it to anyone over the age of 12 who enjoys sci-fi and action. There are many surprising moments that will surely keep you in constant suspense and on the edge of your seat! Posted on November 28, 2013 by Marilyn J. Spoiler alert! Spoiler alert! The authors of this book definitely need to make some adjustments to this title. I mean seriously, why give away the ending of this book in the title– the first thing a person reads when looking for a book. Anyway, if you are looking for a story with lots of true facts and details on the American Revolutionary War blended in with some fictional characters, this is the perfect book for you. 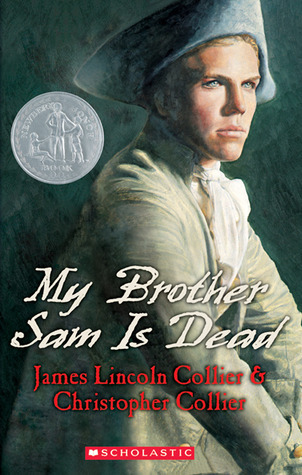 Sam, a farm-boy, has just gone off to school when he decides to go and fight the Redcoats with the Continental Army. With a tavern to run and a farm to maintain, Sam’s mother, father, and younger brother, Tim, beg for him to stay. With his heart set on going to war, Sam runs away. With nothing to do but pray for his brother, Tim takes over his brothers job and soon finds himself on a trip with his father delivering cattle to the British troops. On his way home he soon finds that his father is missing. With warnings of thieves Sam doesn’t know whether he should look for his father or go home. Will Tim find his father? This is a suspenseful and educational read. I would rate it 9 out of 10 on my favorite historical novels list. The story kept my interest and was hard to put it down. I recommend this book if you enjoy reading an intense historical fiction. 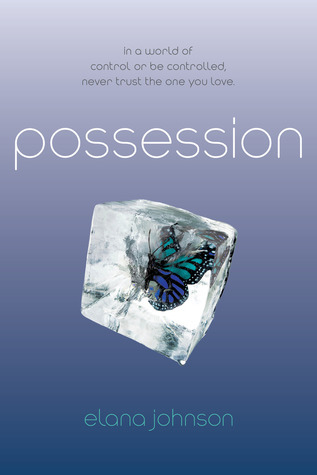 Posted on November 27, 2013 by Amanda D.
Possession, a dystopian fiction novel written by Elana Johnson, follows the life of narrator and main protagonist Violet (Vi) Schoenfeld. Vi is a free thinker, which in the world she lives in, makes her a dangerous outcast. She soon finds herself caught in a love triangle between bad boy Jag and her best friend Zenn. One of the best things about this book is the plot. With twists and turns on every page, it was definitely interesting. The characters were also captivating, and fairly relatable. In addition, the book is narrated in a way that teenagers would speak today, which made it even more relatable. However, that being said, the book was somewhat disorganized. Most parts were extremely difficult to follow. With dystopian fiction, one of the most important things the author needs to do is lay out the setting in a way the reader can easily understand. Despite my eagerness to learn more about Vi’s world, I found myself let down and confused at the lack of description. Overall, this book had a nice, captivating plot, but was relatively difficult to follow. If you are interested in the genre of dystopian fiction, I would recommend reading this book for the plot alone. However, do be cautious as you may, like me, become frustrated at the lack of organization throughout the novel. I wrote a blog a couple of months ago about author Lauren Oliver’s visit to the Mission Viejo Library, which was absolutely phenomenal. It was a great opportunity to meet the author of a really prestigious series. While I was there, I received a free copy of the final novel in her Delirium series, Requiem. This series was absolutely marvelous. I have read a lot of novels, but this is definitely going to remain my favorite for a long time. This series is about a girl, Lena Haloway, who lives in a world where love, or deliria, is a disease. In this world, when you turn 18, you get cured from deliria, and you get assigned a husband and a job for the rest of your life. There is a community of “Invalids” beyond the border of Portland, Maine, that are individuals who have never been cured of deliria. However, Lena Haloway’s life takes a turn for the unwanted. Soon, before her cure day, Lena meets a perplexing boy named Alex, who she soon develops feelings for. A budding romance flourishes, however Lena is coming closer and closer to her cure day. In this uniquely written novel series, Lauren Oliver puts her readers through a rollercoaster of an unwanted life in a different world. 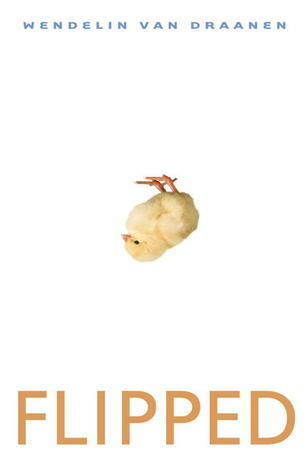 Posted on November 26, 2013 by Leila S.
I have seen Flipped on many bookshelves and had never thought it would interest me. So when it was assigned as an 8th grade required reading book for English, I did not get too excited. However, after reading it, I regret having passed it by so many times. It was that good! What makes this novel unique is the way the story is written. Each chapter switches off between Julianna and Bryce, the two main characters in the story. This writing style enables the reader to understand how each character is feeling. Even though the way the story is written is complex, the plot is actually quite simple. The novel begins when Bryce moves into the vacant house across the street from Julianna. That was when they were in second grade. From the time Julianna first saw Bryce, she knew they would be best friends. However, Bryce did not share her idea from the very beginning. He tries to avoid her as much as she tries to follow him. Major events throughout the book test their soon-to-be friendship. At times, they wish the other were not in their lives at all. However, by the end of the book, the thoughts of both characters have ‘flipped.’ They have each learned about each other and realized what they had missed when they first met. This part shows the moral of the book about looking beneath the surface and not making snap decisions about a person before you get to know them. My favorite part of the book was the ending, because it was very sweet and left me wondering what was going to happen next. I did not feel like there was too much of a cliffhanger, though the ending did leave some of my questions unanswered. I could relate to this book when the characters were changing their minds about each other. I know that in real life, I change my mind on some things frequently. One minute I have made a decision, and the next moment, I have questioned myself and then completely change my mind. For example, this occurs on insignificant decisions like what to wear or more important decisions such as what elective to take in school. I would rate this book a 9.5 out of 10 and would definitely recommend it to younger teens. You certainly do not want to pass it by at a bookstore or library like I did so many times. You will regret not reading it!